Reading Famous Quotes About Global Warming - Let&apos;s Protect Our Home. "Global warming is too serious for the world any longer to ignore its danger or split into opposing factions on it"
1. 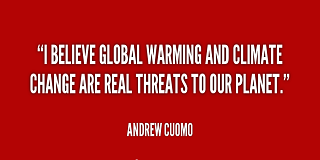 Global warming is real – it is man-made and it is an important problem. But it is not the end of the world. 2. The most important thing about global warming is this. Whether humans are responsible for the bulk of climate change is going to be left to the scientists, but it’s all of our responsibility to leave this planet in better shape for the future generations than we found it. 3. Global warming is indeed a scam, perpetrated by scientists with vested interests, but in need of crash courses in geology, logic and the philosophy of science. 4. 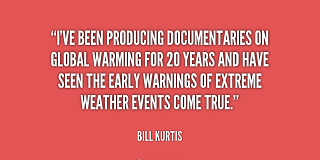 The warnings about global warming have been extremely clear for a long time. We are facing a global climate crisis. It is deepening. We are entering a period of consequences. 5. Global warming is no longer a philosophical threat, no longer a future threat, no longer a threat at all. It’s our reality. 6. 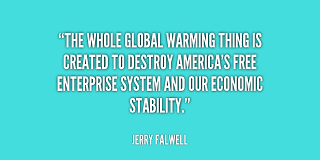 Global warming threatens our health, our economy, our natural resources, and our children’s future. It is clear we must act. 7. Global warming: It is a hoax. It is bad science. It is high - jacking public policy. It is the greatest scam in history. 8. 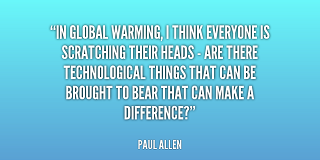 In Global warming, I think everyone is scratching their heads - are there technological things that can be brought to bear that can make a difference? 9. 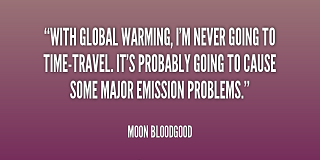 Global warming is too serious for the world any longer to ignore its danger or split into opposing factions on it. 10. 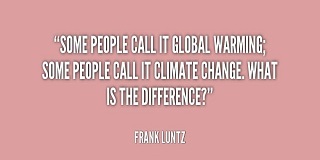 Global warming is controversial, of course, but the controversy is mainly over whether human activity is driving it. 11. It is upsetting that many people don’t seem to observe what’s happening to the environment, what’s happening in terms of global warming, the loss of habitats and wild things. 12. Today, we can see with our own eyes what global warming is doing. In that context it becomes truly irresponsible, if not immoral, for us not to do something.